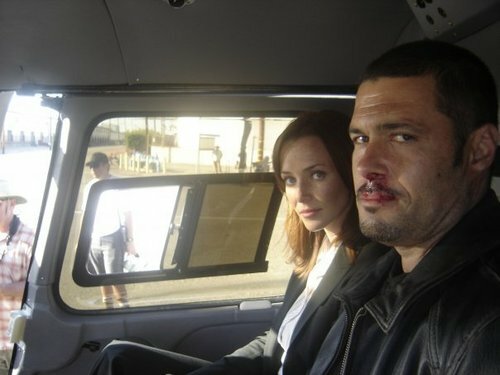 Annie & Carlos Bernard on S7 Set. . Wallpaper and background images in the 24 club tagged: 24 season 7 2009 behind the scenes photos candid annie wersching carlos bernard. This 24 photo might contain mobil, auto, suv, and truk.